Who says thanksgiving has to be all about brown food? Not me, obviously… it’s an understatement to say that I love colorful foods. 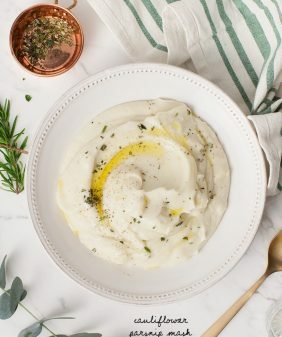 This is one of the easiest side dishes you will ever make. 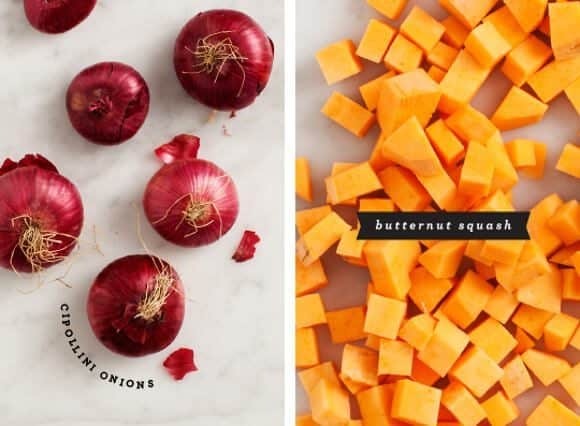 Cubes of butternut squash, cipollini onions, and green cauliflower are roasted simply with olive oil, garlic, and rosemary, then tossed with nuts and herbs. Of course, you could use regular cauliflower, broccoli, or even sub in brussels sprouts. This green cauliflower (or I guess they call it broccoflower, but how ugly is that word? ), just happened to catch my eye. Best of all, you can make this almost entirely in advance. Chop your veggies the day before and all of the handiwork is nearly done. if you place whole rosemary sprigs on the baking sheet (as pictured), take them out of the oven after 15 minutes so they don't burn. 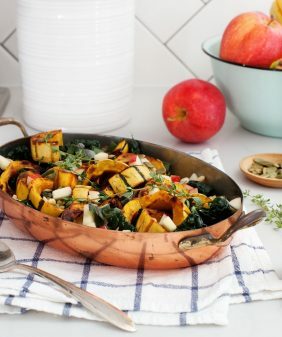 Roasted vegetables might just be the best thing about the wintry weather! What a nice combination you’ve chosen here. I think I’d be satisfied just eating a bowlful for dinner. Such pretty photos! I love roasted vegetables – and the idea of adding pine nuts is great! 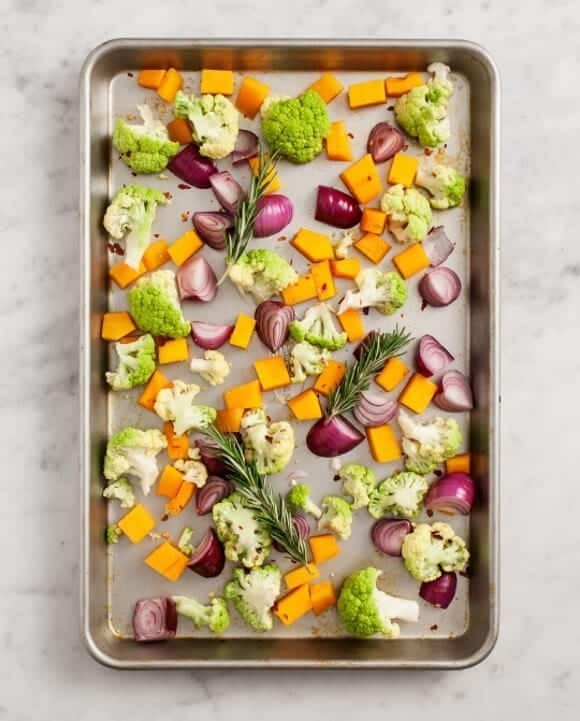 I roast veggies often, I just love the way it starts to have a new original taste. These look positively perfect!! Yum! I love colorful foods too! 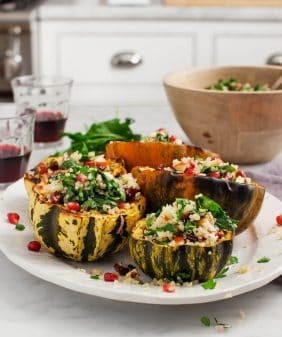 These veggies are so my kind of Thanksgiving! I want to eat that whole plate… such amazing colors! 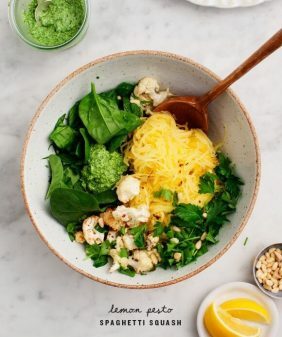 This is a great way to blend a lot of different veggies into one meal. I agree with Emma that I could easily have this over quinoa or rice, maybe with some maple-roasted tempeh on the side, and call it a meal. Lovely! I’ve never tried roasting cauliflower before! Can’t wait to try it out, I’m intrigued! roasted cauliflower is the best!! Rosemary + roasted veggies is my absolute favorite combo this time of year — it really doesn’t even matter which veggies get the treatment, the coziness of the rosemary just goes so well with so many flavors! 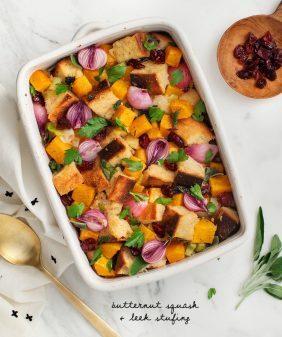 This is exactly the kind of simple, delicious dish I want on my table this Thanksgiving! My favorite part is that you can pretty much use any winter veg you want, and it’ll still turn out delicious. Hooray! 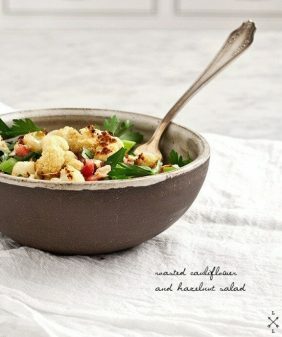 I have some cauliflower to use and I found this recipe. I normally do something similar with sweet potatoes and brussel sprouts/broccoli but this sounds like a fantastic change. Thank you! Hi Kristen, I hope you enjoyed!